I know many of you are thinking, OK, well how do I wear this? And how versatile can it possibly be? I know you are asking this, because I was asking myself the same questions. 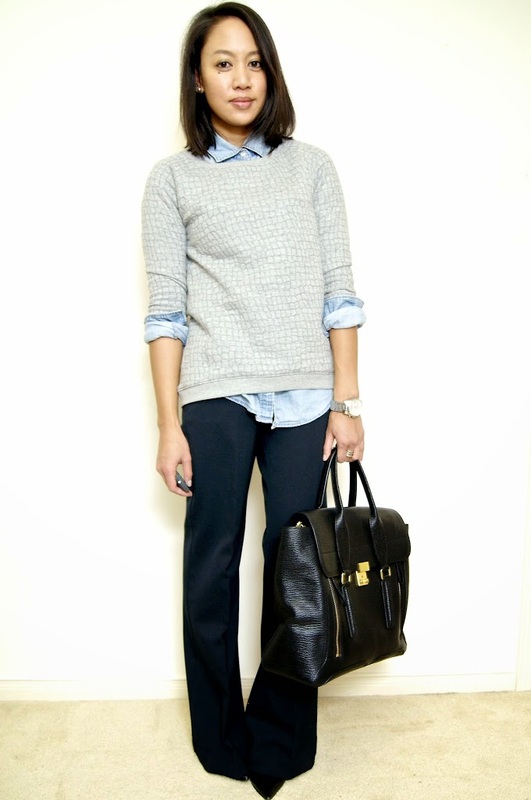 So I came up with a few ways to style this sweatshirt, both for the office and for the weekend that didn’t include a trip to the gym (I also did a similar post for Forbes Style File a few months back, if you are interested in checking it out, see here). Urban Outfitters, Aldo Bracelets / Botkier Charlotte Clutch (Black)(cute alternative here) / Topshop Rings / Coach Letty Wedge Boots (similar here). 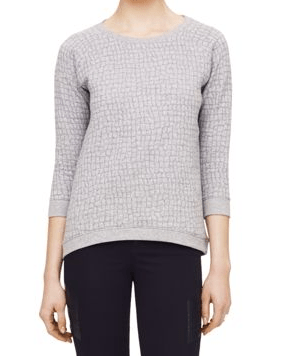 This Club Monaco Belle Sweatshirt goes for $98.50, and it’s lovely, but I would certainly wait for a sale (if you have a student card/email you can get 20% off). There are tons of other great alternatives right now, as well. As an added bonus, when this trend passes, you can always where it as a cover up to the gym (which is what I plan on doing). C by Bloomingdale’s Cashmere Turtleneck Sweater / J.Crew Keeper Chambray / Paige Premium Denim Peg Skinny (similar here) / Loeffler Randall Matilde Boots / Le Chateau Shield Ring / J.Crew Wool Cashmere Coat (more recent version here). 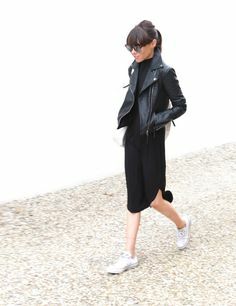 Do you have any fun, creative ways to layer without looking like a crazy person? 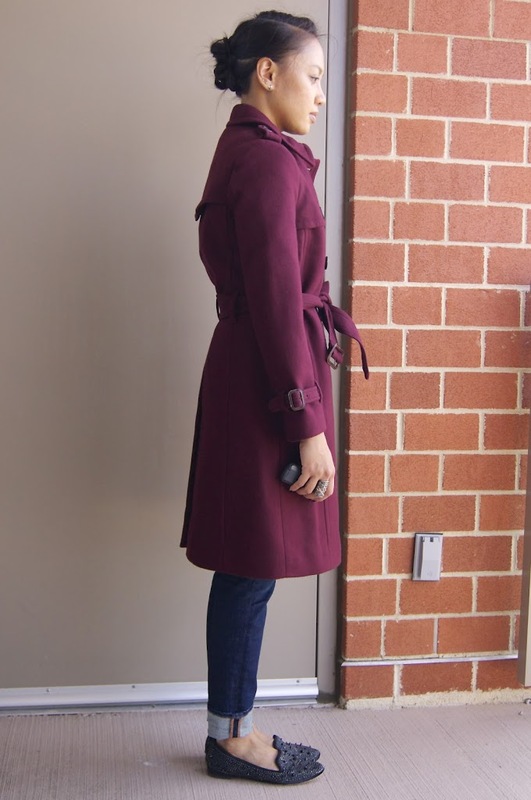 I have been looking to replace my wool-cashmere J.Crew coat for a few years now. I’ve had it since 2005, and even though it’s held up well over the years, it was starting to show some rips and tears, particularly in the pocket area and in the lining around the vent. I’ve patched up the pockets for the most part, but I thought that it was time that I gave in to purchasing a replacement after putting it off for the last two years. The wool is nice and smooth, and…that’s pretty much all the good things I have to say about it. I mean, it’s a nice coat, I was just hoping for more given it’s regular price of $325 (I used my 25% off code for this). 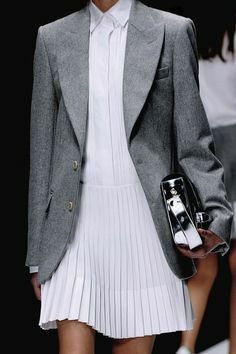 The sleeves are a good length, not that bracelet-length stuff J.Crew has been playing around with the last few seasons. But, I really wish there was an option for Thinsulate. 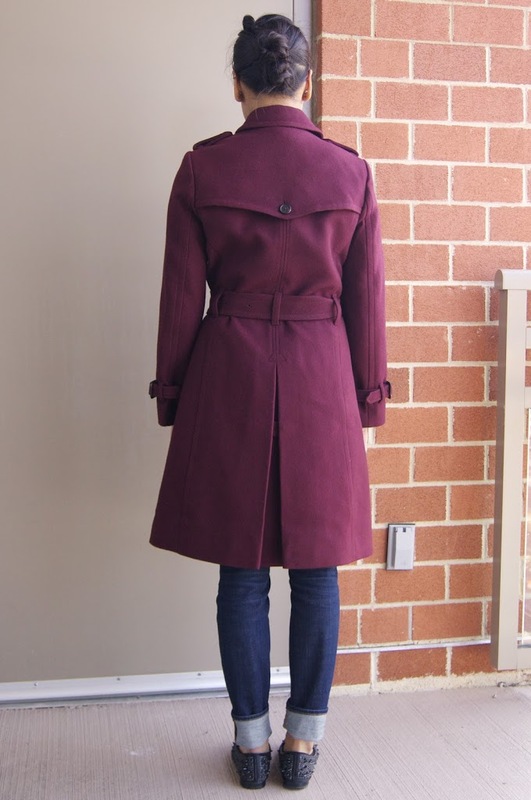 The Icon Trench is a nice light fall coat, but I can feel in the weight of it that it wasn’t going to be anywhere near as warm as my old J.Crew coat with Thinsulate. 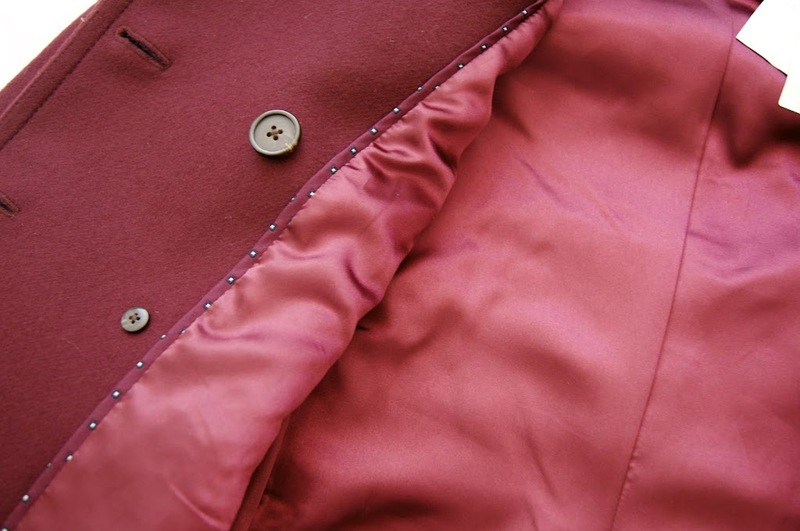 The coat has no inner pocket and its lining is polyester (no surprise there) but it does seem to be made really well. Overall, I was pretty disappointed with this. If you live in a climate where it doesn’t get super cold and you like the A-line shape, or the A-line shape isn’t as pronounced you than it is on me, then this is worth a try (on sale). Otherwise, I think it should be skipped unless on super sale. I think I might exchange it using the red phone in the store for 0P just to try for size, but it will probably still have the pronounced A-line shape that I dislike so much. 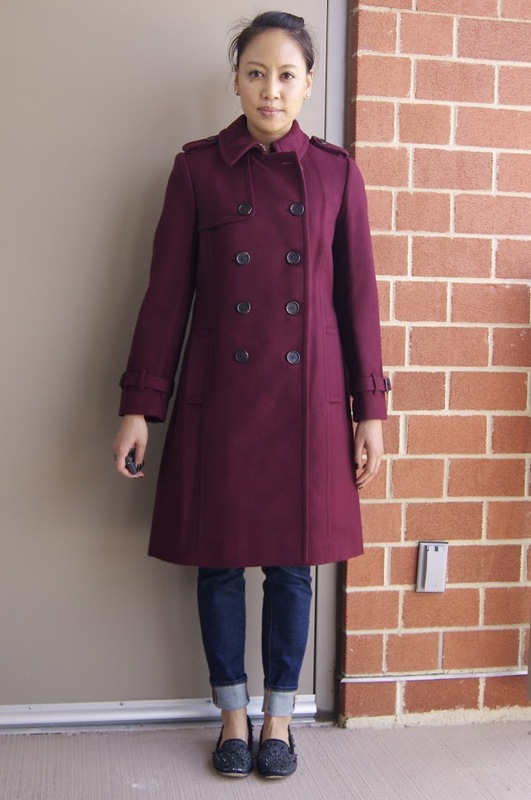 Anyone else try this coat and was happy/unhappy with this? Love to hear what you think! 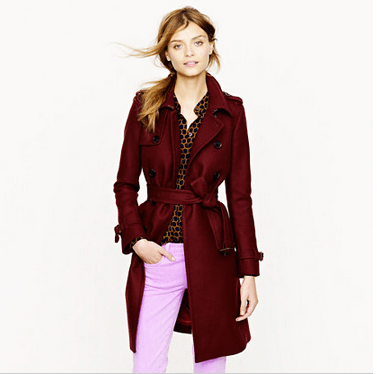 Right now you can get 25% off your order of $150 or more online at J.Crew using code STYLE25.